Somewhat belatedly, I got round to sorting out photos from the College of Optometrists’ graduation ceremony at Central Hall, Westminster in November. 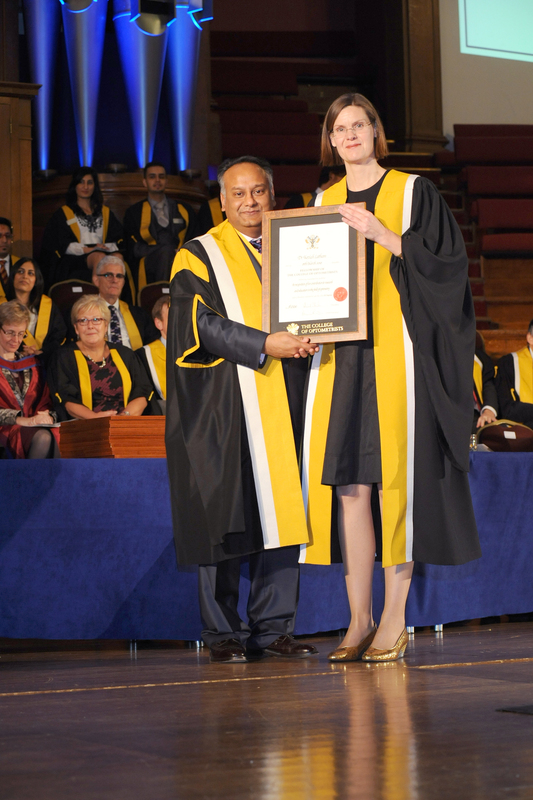 I was very proud to receive Fellowship of the College ‘in recognition of my contribution to research and education in the field of optometry’. It was a splendid day out and lovely to see so many colleagues and former students. Fabulous venue as well: got rather over excited to see Gary Barlow on the same stage on New Year’s Eve! Meanwhile, the College postgraduate position is now filled – thank you to those who got in touch with regard to this. More on this project to come!